Susie Dent is the soul of Countdown. The only remaining member of the original three-person line-up, she radiates lexicographical passion, and lends a scholarly tone to what could have been a trivial show. And now she’s put her name to a mobile game. Two Words see you plonking down a word using a seven-letter selection before your opponent plonks down an intersecting word. Like in Scrabble. That’s basically the game. Once your opponent moves, their word becomes the basis of the next round, with yours finishing it off, meaning there are never more than two words on the screen. The scoring is based on the letters you use and the words you make. 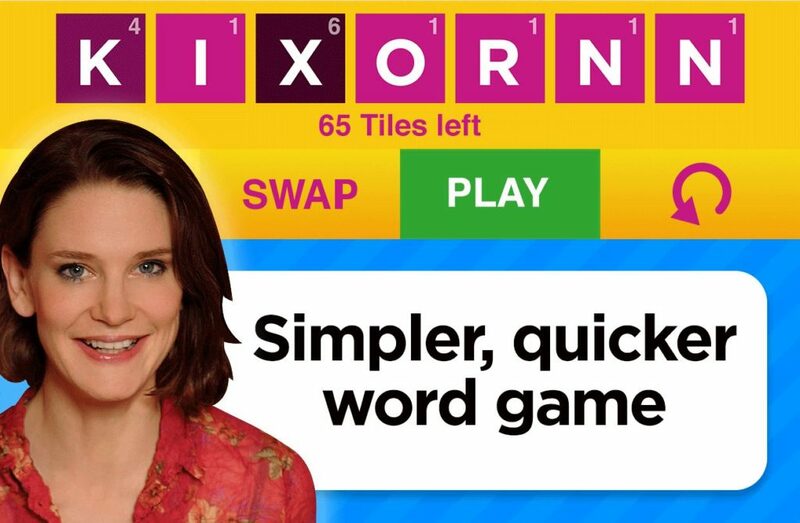 Two Words has been out for ages, of course, so this is really a Susie Dent-themed update. The noted wordsmith will appear, in cartoon form, as the SusieBot — a very difficult AI opponent. She’ll also pop up to give definitions and distribute praise, a la Countdown. You’ll be able to witness this spectacle when the update lands this week. Go here to download Two Words in its current form.